This unique publication explains the legal principles that govern contaminated sites management in British Columbia, and includes an overview of the British Columbia Environmental Management Act, the Contaminated Sites Regulation and key compliance and practice issues. A practical guide to the law of contaminated sites management in B.C. 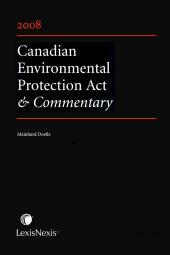 A must have resource for practitioners, property owners, developers, and environmental consulting industry, the text offers a detailed discussion concerning contaminated site redevelopment, recovery of costs of remediation, key regulatory instruments, and director's orders, prepared by two environmental law experts from Harper Grey LLP in Vancouver, Richard Bereti and Una Radoja. Richard E. Bereti is a Partner with Harper Grey LLP in Vancouver, British Columbia, and is co-chair of the firm's Environmental Regulation & Disputes Practice Group. His practice involves environmental litigation, with a focus on contaminated sites, and providing advice to business and industry respecting environmental and commercial matters, including corporate asset and share sales, property sales and leasing, site remediation, compliance, indemnities, releases, due diligence and directors' and officers' liability. 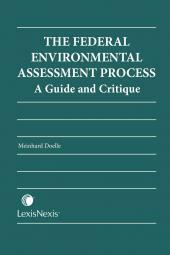 Richard negotiates extensively with provincial and federal agencies, and appears before the courts and the Environmental Appeal Board. He has acted in some of British Columbia's most significant environmental matters, including the Morguard (EAB) and Beazer (BCSC) cases. He is former Adjunct Professor of Law at the University of British Columbia, is a recurrent chair and presenter at environmental conferences and CLEs, and writes for various publications. 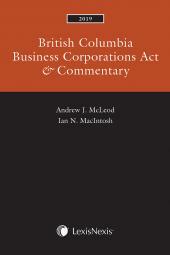 He is the author of British Columbia Environmental Management Legislation & Commentary, 2006, 2007 and 2008. Richard has been recognized by Best Lawyers® in Canada as a leading lawyer in the area of Environmental Law and by Lexpert Canada as a "Leading Practitioner" in the area of Environmental law. He has also been recognized by Chambers Global. Richard holds degrees in Law and Education, is called to the Bars of British Columbia and Saskatchewan and handles cases for clients throughout Western Canada. Richard is a member of the Environmental, Civil Litigation, Natural Resources and Fisheries subsections of the Canadian Bar Association, as well as the National Environmental, Energy and Resources Law section. Una Radoja is a senior associate with Harper Grey LLP in Vancouver, and is the Co-chair of the firm's Environmental Regulation & Disputes Practice Group and the firm's Real Estate Group. She is an executive member of the Environmental Law Subsection of the Canadian Bar Association (BC Branch) and a frequent guest lecturer on all aspects of contaminated sites law, for the Pacific Business and Law Institute, BC Environmental Industry Association, the Environmental Managers Association and the BC Continuing Legal Education Society. Ms. Radoja has also been called upon by the Ministry of Environment and the environmental consulting industry to present on contaminated sites topics. A significant component of her contaminated sites practice involves litigation matters related to recovery of remediation costs pursuant to the Environmental Management Act and common law, and appeals before the Environmental Appeal Board. She regularly advises property owners, developers and other businesses with respect to strategies to minimize environmental risk arising from ownership of and operations on contaminated land. Ms. Radoja also represents clients in their dealings with the regulator in relation to applications for orders and instruments, including approvals in principle and certificates of compliance.